Okay, Okay... I know this blog is not called "Recipes from Morocco" but I've been getting a little creative in the kitchen lately and I decided to post this recipe I invented. It looks like a lot of work but it's actually very easy to make. I took a recipe for Moroccan pastilla and added my American flavor to it. Pastilla is this flaky, super thin pastry-style dough but it's not dough. It's like thin paper made from flour and water. Anyway, I wanted to combine that with something from my culture and I thought, "What's more American than apple pie?" 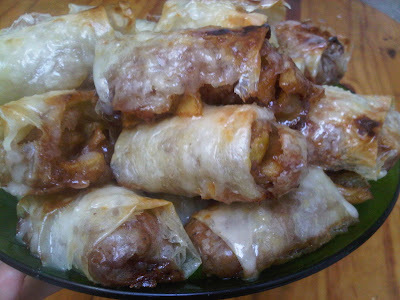 So it turned out to be this delicious Moroccan-Cinnamon-Apple-Egroll-Thingy with glaze on top. I don't measure anything and you shouldn't either. Just make it so it looks good. Peel the skin off the apples and then chop them into little pieces (like if you cut dice in half). Actually... it really doesn't matter. You can do whatever you want. There's no rules in cooking but the little pieces cook better. Mix flour, pinch of salt, and water so it's like a liquid--not too thick, you want it runny. Put the teflon pan on top of the other pan filled with boiling water so the steam from the boiling water is what heats the teflon pan. Using the paintbrush, paint a circle around the pain and then fill in the middle. It should be suuuuuper thin and it will cook very fast. When the edges start to lift, peel it off gently and set it on a plate. Dip your fingers in oil and gently brush over the whole thing. I learned how to make this from one of my friends a few months ago and I took a video of it. This is me watching for the first time and after about 2 minutes, I got the hang of it. Watch this video--it's super short but important. I'd make about 20 of these. It should take you about 10 minutes. No biggie. Put the apples in the pan you used for the pastilla. Pour the sugar and cinnamon over the apples. 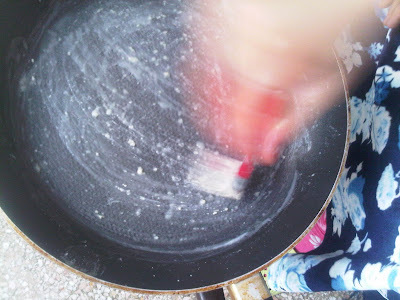 Chop the butter into small pieces and distribute around the pan. Put about 2 handfuls of water in the pan. 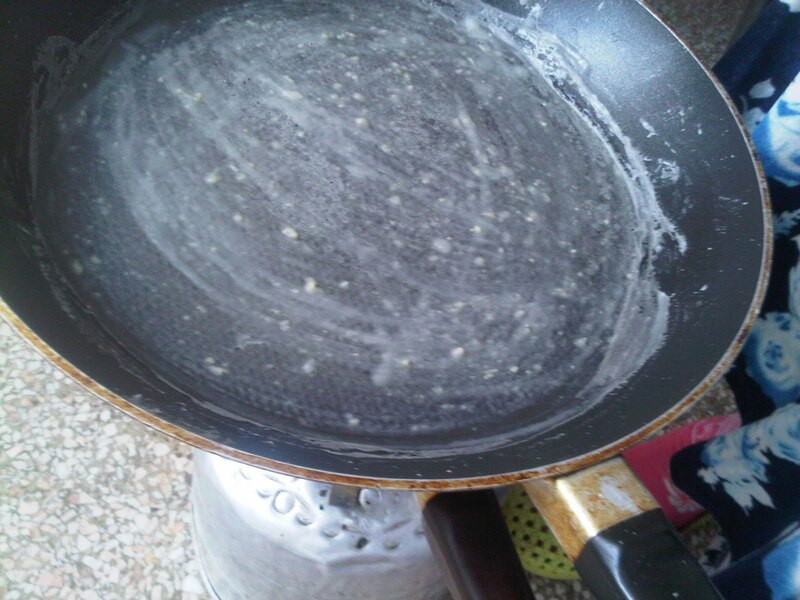 IMPORTANT: PUT THE PAN ONTO A REGULAR FLAME, NOT OVER THE PAN YOU USED FOR THE PASTILLA. Turn the heat on medium. Stir everything around in there till it's all mixed up. Cook over the heat for about 10 minutes until apples are soft. Once they are soft (but not mushy) turn the heat to low to make the liquid turn more gooey. You want it to be like carmel sauce kind of. When it's as thick as you want it, take it out of the pan and put it in a big bowl to cool down for about 10 minutes. The sauce will get thicker as it sits. Lay a piece of pastilla on the table. Fold the bottom of it up. 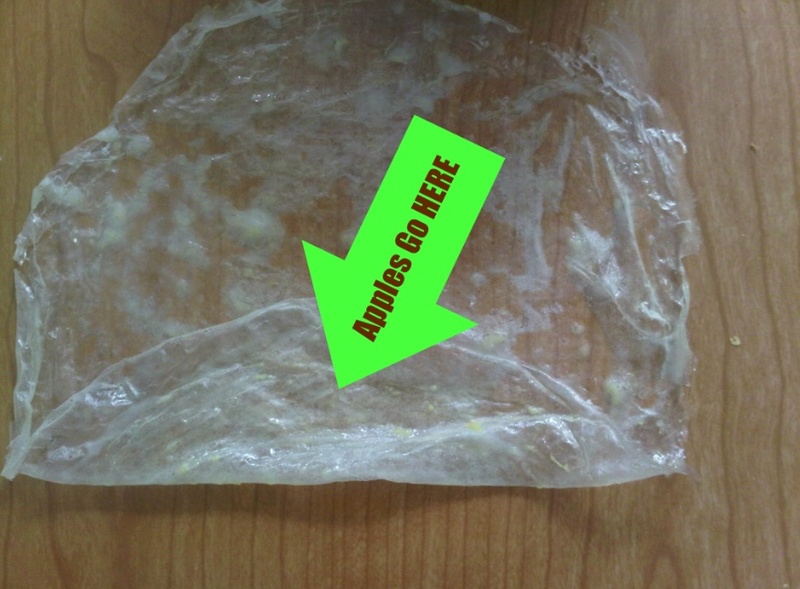 Put a spoonful of the apple mix in the middle of the folded up part. 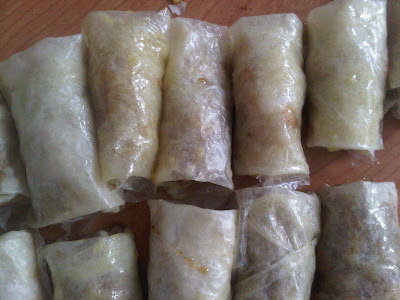 Then fold the left and right sides in towards the middle. Roll that baby up and set it aside. If they don't all look exactly the same, who cares? Bake them in the oven at 300˚ for about 15 minutes. Honestly, I'm just guessing. I actually have no idea how long I cooked them for because I was in the kitchen doing other things. Just cook them till the outside is a little crispy. You don't want them soft like when you put them in. While those little nuggets are cooking, make the glaze. It's soooo easy. Melt the butter. Add it to the rest of the ingredients. Stir. That's it! When the apple rolls are done cooking, let them cool for a little bit and then drizzle the glaze over them. Wow, looks amazing and feels a lot like I do. 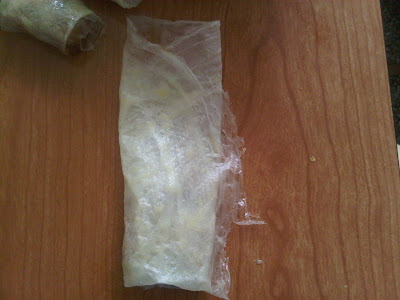 Making pastilla dough from scratch, are you kidding me! I don't think I'd survive that. 5 stars and two thumbs up to you!